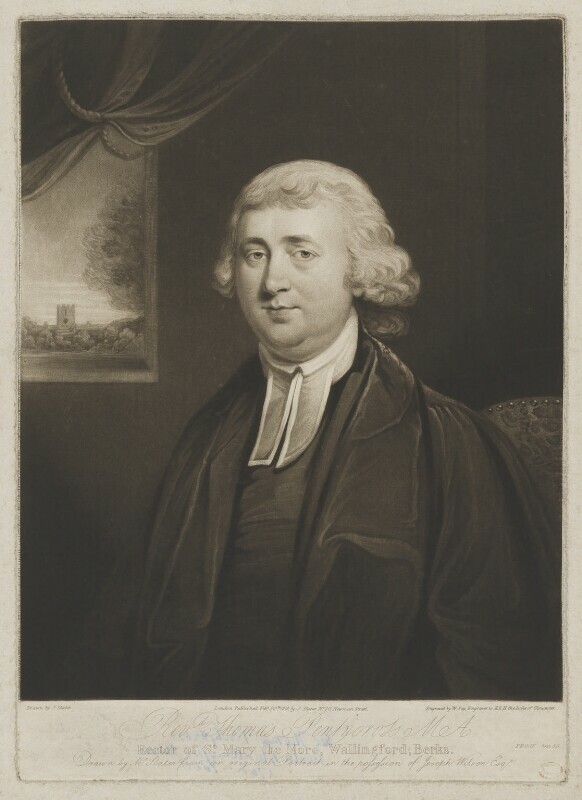 Thomas Pentycross (1748-1808), Rector of Wallingford. Sitter in 2 portraits. William Say (1768-1834), Mezzotint engraver. Artist associated with 260 portraits, Sitter in 1 portrait. Death of Charlotte Sophia of Mecklenburg-Strelitz, George III's Queen since 1761. Official enquiry initiated into Queen Caroline's conduct abroad. Mary Shelley anonymously publishes her masterpiece Frankenstein; or, the Modern Prometheus which reflects growing concern about the role of morality in science. Lord Byron completes his romance Childe Harolde's Pilgrimage, whose gloomy, dissolute hero was probably based on the writer himself. Stamford Raffles acquires authorisation to construct a fort at Singapore marking the beginning of its development as a centre of East-West trade. Congress of European Alliance at Aix-La-Chapelle. Lord Castlereagh plays a central role in establishing a pan-Europe peace settlement to bring a chastened France back into the world of political respectability.